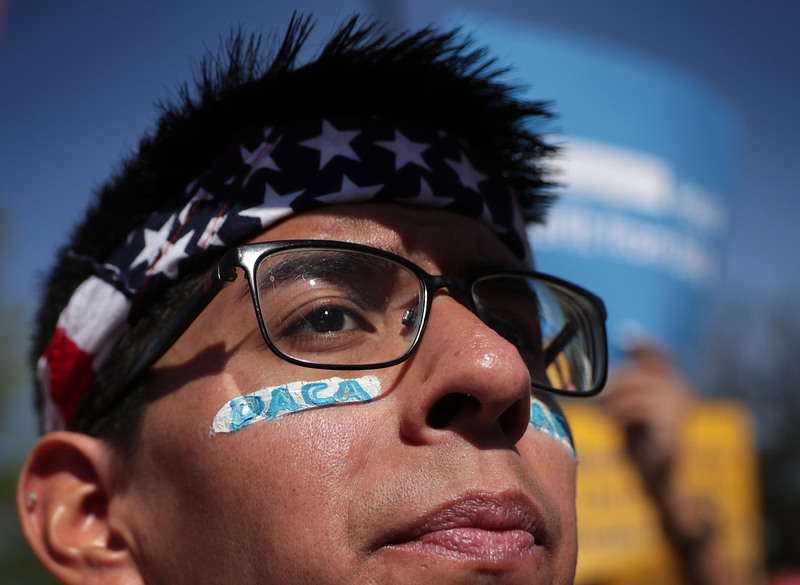 Following the election of Donald Trump, recipients of the Deferred Action for Childhood Arrivals (DACA) program, which allows undocumented immigrants who entered the U.S. as children to obtain a temporary work authorization and avoid deportation, are facing a lot of uncertainty. DACA recipients are understandably concerned that the Trump administration could overturn DACA, and they could lose their ability to work or even face deportation. Overturning DACA would be a travesty for recipients as well as for the country overall, and the Trump administration must make sure that this does not happen. DACA was initially established via executive action by President Obama in 2012. DACA allows undocumented immigrants who came to the United States before they were 16 years old and before 2012 (among other requirements) to register with the U.S. government and pay a fee in exchange for legal status. This legal status allows a DACA recipient to receive a two-year renewable work authorization as well as protection from deportation. It does not, however, allow the recipient to become a citizen. Approximately 742,000 people in the United States are recipients of DACA, according to the Los Angeles Times. Among other benefits, DACA has allowed recipients to work and attend school, creating better lives for themselves and their families and also positively contributing to the U.S. economy and society. Indeed, many DACA recipients have recently taken to social media to extol the policy, using the hashtag #WithDACA to share how DACA has positively impacted their lives and the lives of those around them. The election of Trump to the presidency was the impetus behind the #WithDACA campaign, as many DACA recipients are now highly fearful of losing their work permits and protection from deportation with the advent of the new administration. Unfortunately, because DACA is an executive action, it can be pretty easily overturned by Trump. The implications of eliminating DACA could range from all registered recipients losing their legal status and right to work to the government actively deporting DACA recipients. While DACA registration forms indicate that the registration information a person provides to receive DACA will never be used for deportation purposes, this promise is not legally binding, which creates a lot of fear and uncertainty for current DACA recipients, particularly given Trump's strongly anti-immigrant rhetoric throughout his campaign. While Trump has never publicly indicated that he wishes to eliminate DACA, during his presidential campaign he vowed to eliminate all of President Obama's executive actions, which obviously includes DACA. That promise, coupled with his anti-immigrant and deportation-oriented stance, means that it is highly important to preemptively advocate against the dismantling of DACA. Eliminating DACA would be an incredible tragedy for this country. If this occurred, thousands of people who are contributing to U.S. society and economic development through working, educating themselves, raising families, and paying taxes (among other things), would be forced to live "off the radar," again, detrimentally impacting not only their own economic and educational development, but also that of the U.S. as a whole. Furthermore, eliminating DACA essentially constitutes a renegotiation of a commitment made to undocumented individuals who came to the U.S. as children, a renegotiation which, if it occurred, is not fair or reflective of American values. Recipients of DACA had no agency in their family's choice to come to the U.S., and, for many of them, the United States is the only home they know or remember, having been in the country since they were young children. Forcing DACA recipients back into illegal undocumented status would be absolute travesty and a disservice to the U.S. While Trump has made not yet made specific mentions of eliminating DACA or deporting DACA recipients, Trump's anti-immigration stance means it is exceedingly important to ensure that recipients do not lose their legal status either through active elimination of the policy or through merely letting approvals for applications fall by the wayside. The #WithDACA campaign is a good starting point for DACA advocacy, an advocacy movement which will hopefully continue to grow in order to publicly acknowledge the importance of DACA for this country.